Use for acute symptoms of food stagnation, including epigastric or abdominal bloating, abdominal cramps, frontal headache, belching, hiccoughs, and nausea. Symptoms include poor digestion or appetite, diarrhea, abdominal pain, abdominal upset, dysphasia, and acid regurgitation. distension, pain or hyperacidity in the epigastrium, nausea, and poorly formed stools. 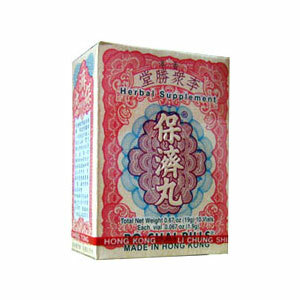 Useful in morning sickness, motion sickness, hyperacidity, overeating, or to alleviate hangover. Helpful in stomach flu and food poisoning. This formula is very helpful in acute situations of food stagnation, epigastric distension or nausea. In food poisoning cases, the formula Huo Xiang Zheng Qi Pian is preferred. Dispels food stasis, harmonizes the stomach, stems counterflow ascent of stomach Qi, dispels damp, dispels pathogenic factors, subdues yang, relieves pain. Take 1 to 2 bottles of pills every 2 hours as needed, 4 times a day. Children under 3 years of age, take half bottle; half dosage. Please use caution during pregnancy. Any herbal prescription used during pregnancy should be administered and monitored by a qualified practitioner.